Recruiting is time-consuming; it’s often an arduous and complex process finding the candidates themselves. Just as difficult for most companies is finding the right headhunting firm to represent their organization. The search means discerning who will maintain high standards of employer branding and ultimately procure the necessary talent in order to further the company’s competitive advantage. In order to address this challenge, it’s imperative to understand why firms have so much trouble selecting the right recruiting firm, what can they do to better ensure that their recruiter is competent, and what the ramifications are of choosing a subpar recruitment company. – Lost time and opportunity cost. Time that is lost is lost forever. When companies wait around for resumes that never come or spend time weeding through scores of recruiter resumes submissions that are well off from their needs, they lose precious time, potential revenue and sometimes employee morale. – Poor employer representation (i.e. failure to stir up demand for the job) turns off a significant amount of fitting applicants for the position and hurts employer reputation. – Poor candidate management throughout the process. The effective recruiter controls conditions. The less apt headhunter lets conditions control them. Poor recruiters not only fail to pitch the job correctly to the right people, but they also fail to manage the candidates in a way that fosters trust and builds a positive brand for the hiring company. When a recruiter mismanages a job applicant, that individual will often negotiate harder on their salary. The lack of trust, communication and professional respect between the recruiter and applicant inevitably encourages the prospective employee to interview with a multitude of organizations. Often, this leads in the firm losing job seekers to competing offers. – Settling on job applicants who are inferior. One of the biggest misconceptions that employers have is that recruiters all have equal resources to find the same applicants and say the same thing to each in order to stir up demand. Quite the opposite. – Failing to judge the competence of the recruiters whom they are working with at the outset. One of the responsibilities of an employer, for the reasons listed above. – Not staying in constant communication with the recruiting firm and applicant. Communication breeds trust and expedites the recruiting process without foregoing accuracy. – Signing on with multiple contingency recruitment entities without taking the time to formulate a relationship with any of them. Contingency recruiting firms have no obligation to the employer and must be managed via candidate feedback and consistent communication on the part of the hiring company. – Signing on with the least expensive option and assuming that the same competency, resources and dedication will be forthcoming as from better paid headhunters. While we all want quality for less, there comes a point where the hiring firm has little chance of locating and procuring strong applicants from the work of the staffing company that is in turn staffed with subpar employees. When vetting recruiting firms, hiring companies often ask the wrong questions. Open ended inquiries like how many candidates a firm has sets that hiring party up to be lied to. Accepting arbitrary numbers as indicative of a staffing firm’s abilities is the largest reason for failure. Companies benefit from focusing more on the individuals responsible for the hiring project. Assessing their knowledge and inquiring about professional accomplishments is paramount. Speaking directly with those responsible is also imperative. Employers need to ask questions that make sure the recruiters understand the company and products / services. The following 3 questions will tell a hiring manager all they need to know in order to choose the right recruiting firm. – Who will be representing my company? – What is their background? – How would they represent (i.e. pitch) the company they are representing? When hiring recruiting firms, it’s best to take nothing at face value. Not all staffing firms are created equal. 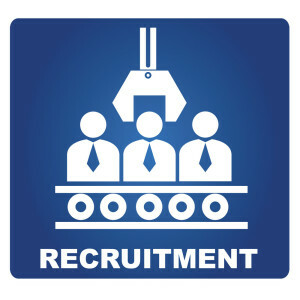 Recruitment is a people business, and recruiters’ mindsets and levels of interpersonal competency personalities of the recruiters will ultimately determine success.